The complex of components that normalize the functioning of the liver. Milk Thistle - protects the liver from the effects of infections, alcohol, toxins, heavy metals. It is recommended as a cleaning, regenerating, preventive agent. Add 1-2 teaspoons of balm to 200 ml of water, mineral water, tea, milk, coffee, drink 2-3 times a day. 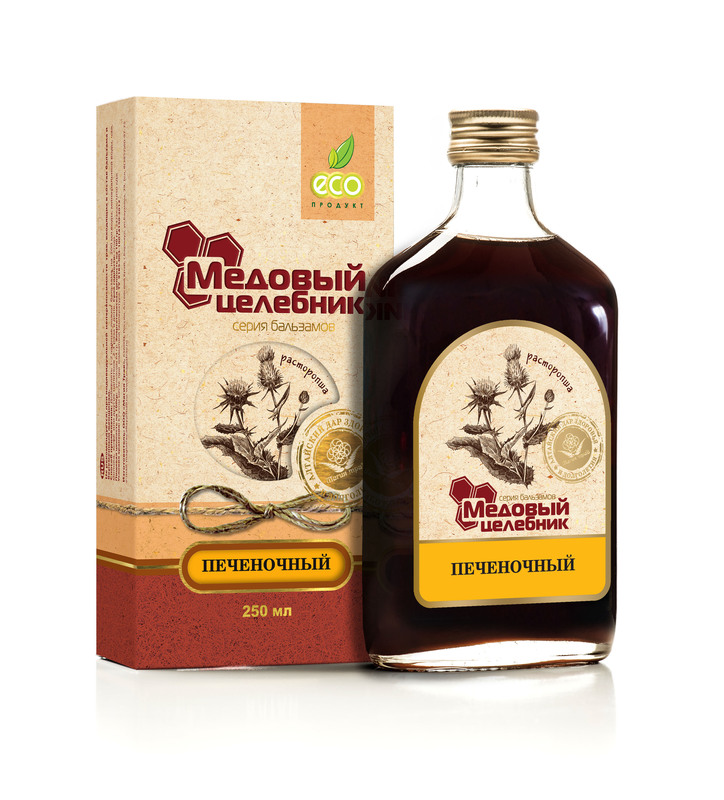 Ingredients: Altai honey, seeds of milk thistle, three-parted herb, yarrow, St. John's wort, turnip, badana leaf, mint, root of rhodiola rosea (golden root), calamus flowers, aspen bark, hips, cherry, sugar syrup.